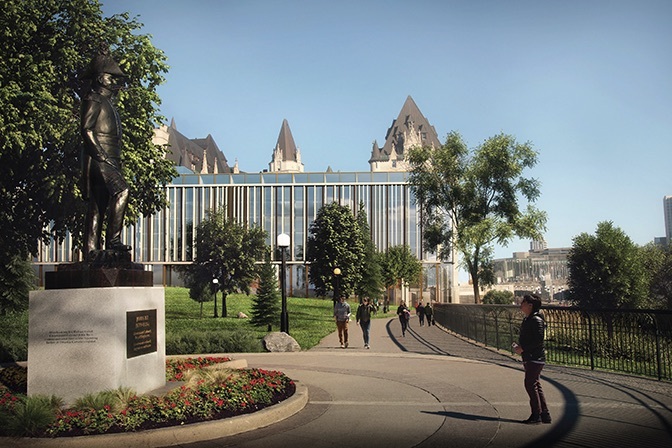 Heritage Ottawa hasn’t pulled any punches when it comes to voicing its feelings about the proposed addition to the city’s historic Chateau Laurier hotel. The organization says the proposed angular style of the addition remains intrinsically incompatible with the romantic styling of the Chateau, adding the addition would neither complement nor enhance the building’s historic surroundings. Even though the design has undergone significant changes in the last 18 months, it is still not in keeping with the overall feeling the Chateau evokes, Heritage Ottawa says. Each design repeats that same mistake. “Additions cannot be allowed except in so far as they do not detract from the interesting parts of the building, its traditional setting, the balance of its composition and its relation with its surroundings,” says the Venice Charter, an international benchmark for the conservation and restoration of historic buildings.